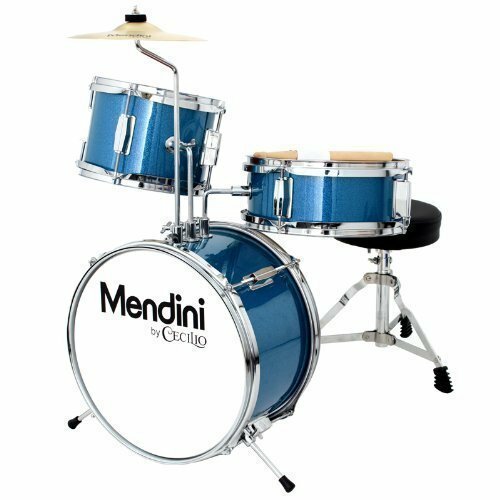 The Mendini Junior Drum Set is for children aged three to eight years old. It includes all the basics for little ones who want to start playing early. The base drum is 13 x 8 inches and the mounted tom is eight inches by six inches. 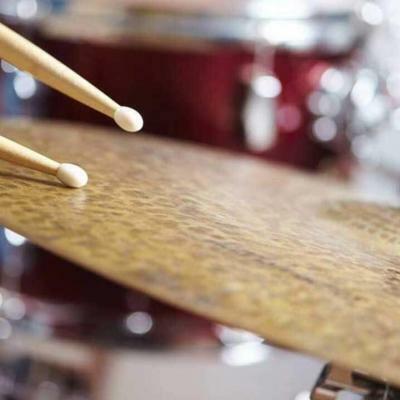 The snare drum is measured at 10 inches by four inches deep, and the cymbal arm is eight inches. The bass drum does come with a pedal. The set comes with an adjustable drum seat and wooden drumsticks. 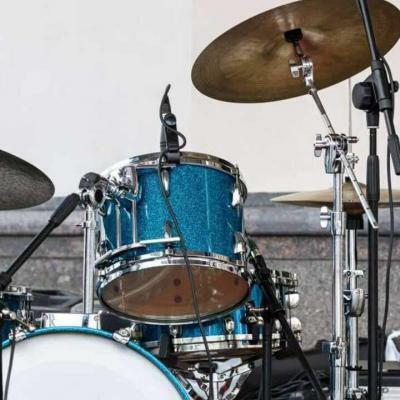 The Mendini Junior Drum Set produces a basic rhythm that is well-pronounced and adequate for young users to be able to get a feel of playing with the instrument. It is far from a toy drum set that can be bought from toy stores and is only good for banging and playing. This professional looking set will encourage children to treat the instrument seriously without the overwhelming feeling that they can get from a larger drum set. This is a good set to teach children the value of coordination and to develop an appreciation for instruments. Children will have an enjoyable and educational time while learning to play with guidance from a parent or drum teacher. This is a great product that is designed to be the appropriate size for children. The drums are not too big and not too high and children will not have a hard time hitting the skin with the sticks. The set has a sturdy composition and can tolerate misuse by beginner drummers. The rhythms that are created are precise and the sounds produced are whole. The drum set comes complete with a snare, a tom that is attached to the bass drum and a cymbal. 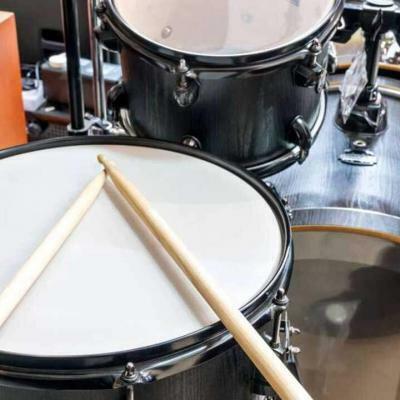 The rudiments of rhythm are easily learned with this drum set. The quality of the drums is good and the wooden structure helps in resonating a deep and whole beat every time the skin is hit. The stands, both for the cymbals and the snare, are sturdy and will not wobble when used. 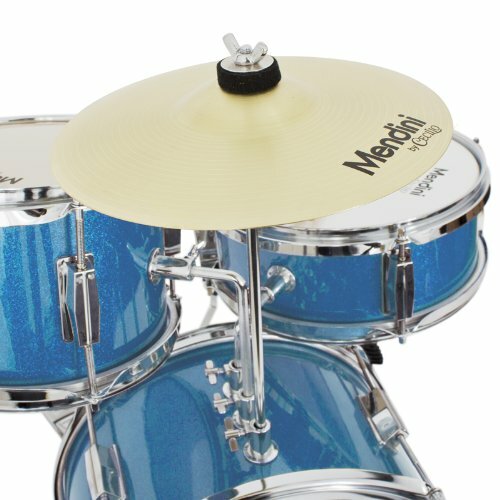 The Mendini Junior Drum Set can be used by children as young as three years old. The product is made to last for a long time and is guaranteed to be useful for years. The adjustable seat is designed to fit a young drummer as he or she grows. The set is child-friendly and does not have sharp edges. The coating on the drum set is smooth and will not cause injury to the user. The drums are light and can be reinforced for more stability as the user gains more strength in hitting the drums. 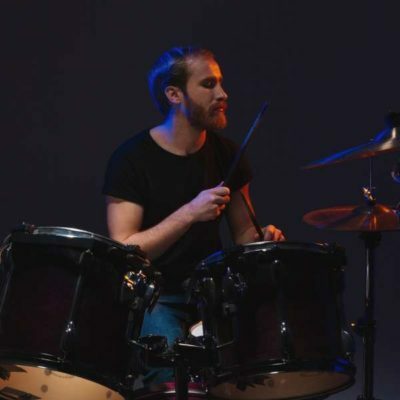 The drum set is affordable and has a long service life. Children will have a real feel of playing the drums and will think that they are playing like a professional. The stands on the snare and the cymbals need to be adjusted frequently and tuning must be done to retain sound accuracy. 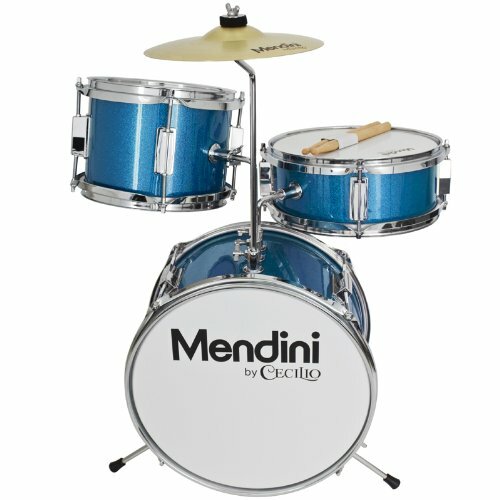 What Do Customers Think of the Mendini Junior Drum Kit? The cymbals also hold well and will not fall on the child. Children of varying ages between three and eight years can take turns in using the product. As children have a tendency to bang the drum too hard, the structure of the drum is able to withstand it. Compared to other junior drum sets, the Mendini is strong and resilient against abuse. The product is easy to assemble and only comes with a few pieces. The light weight and small size of the drums make them convenient to put together. 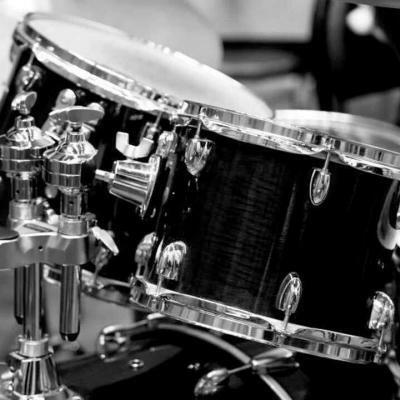 The drums do not produce a good sound and need to be tuned constantly to reach the correct pitch. The stand below the drums easily becomes loose and has to be tightened frequently. The bass drum and the cymbals create out of tune thumps. The set is not good for children over five years because the drums tend to be too small and the child ends up hitting the rim of the drum. The cymbal will crack with repeated use. 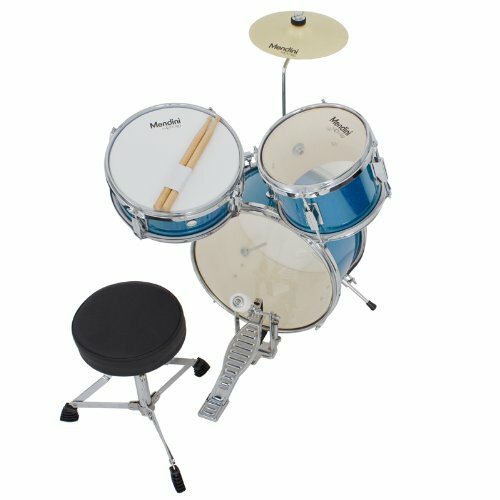 The Mendini Junior Drum Set is for children. The sound that it produces is standard to the skill level of a child. For a beginners’ set, this product produces basic rhythm. The set is complete and has all the essential tools for a beginner. The Mendini Junior set is also capable of capturing the feel of a professional set and allows children to learn drumming rudiments using professional looking equipment. However, the product tends to break after much abuse and the quality of the product is compromised, especially if the user is older than five years old. The drum set is good for light playing for smaller players but will break easily if played by older children.